“You pour a little bit, taste it, and then you add sugar,” explained Oshari, the groundskeeper at Anakato, the Nubian hotel I just arrived at. The place was fairly empty, which allowed me to strike up a conversation with him about his Nubian heritage, their language and their Gabbana—a Nubian spice-infused coffee only available within the community—which he was teaching me how to enjoy the right way. 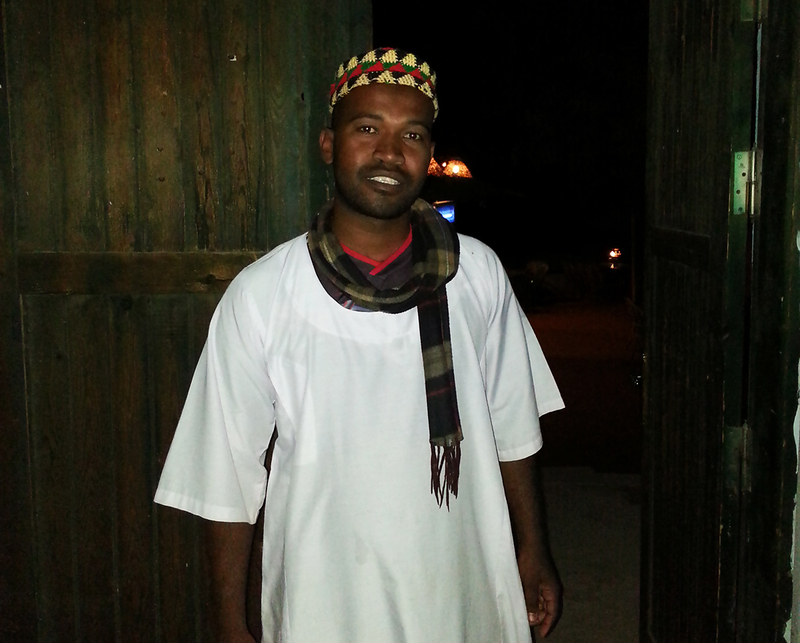 Like most Nubians, the groundskeeper eagerly shared his culture, offering hustle up some Gabbana from a nearby guesthouse so I could enjoy it while he proudly talked about a heritage only survived by a few thousand. 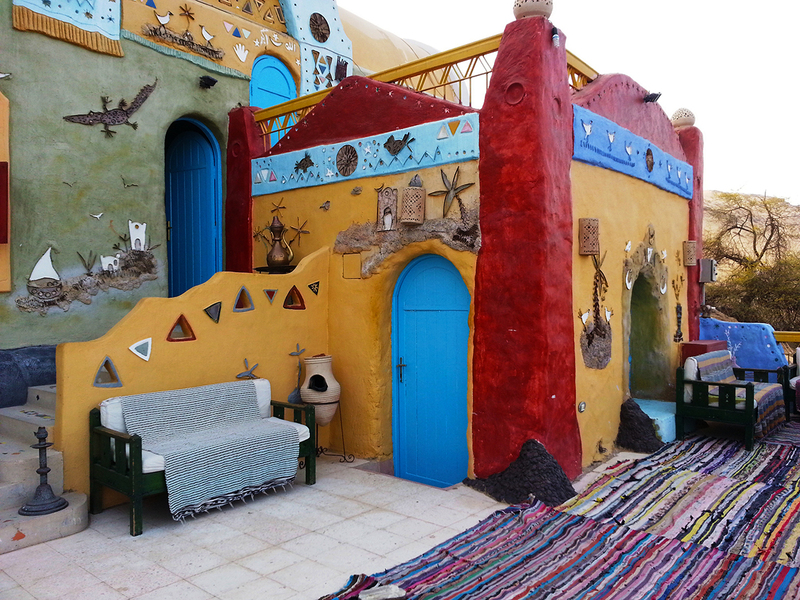 It was fewer than 10 hours ago that I decided to take a daylong break from my demanding job in Cairo and book a quick escape to the Nubian village of Gharb Soheil, where our definition of modern-day life ceases to exist. Until the late 1950s, Nubian tribes lived at the southern edge of Egypt, spanning from tens of kilometres below the southern city of Aswan to well within the Sudanese borders; however, Egyptian Nubians were forced to relocate throughout Upper Egypt due to the construction of the High Dam, which is why I visited their community in Gharb Soheil. 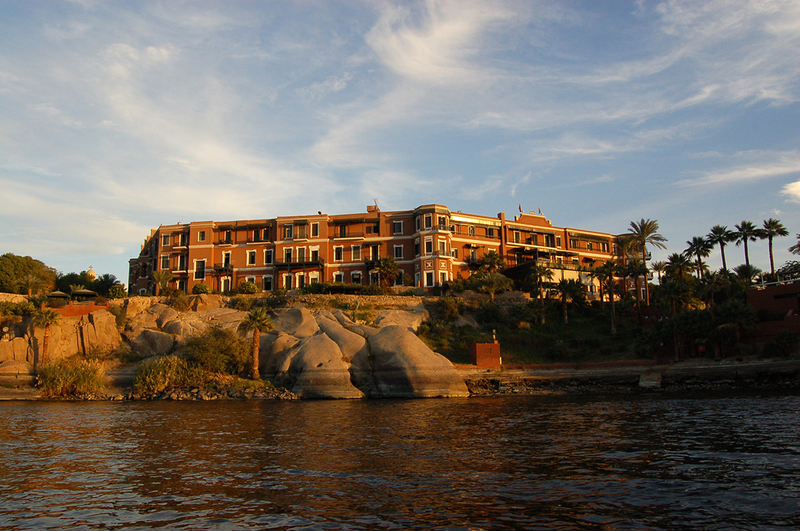 While there are many Nubian communities in Aswan, Gharb Soheil is probably the best choice for tourists to stay, as the locals have kept the place entirely Nubian, yet equipped it with modern amenities, making it comfortable enough to immerse yourself fully without needing to go someplace else for a good shower. Dead tired from a long day and a sharp air my body wasn’t used to, I dove into bed only hearing the continuous strokes of water on the large rocks right beneath my window and, for some reason, the squeals a lone goat from the other side of the Nile who just wouldn’t go to sleep. Yes, it was that quiet; only nature and the thoughts of a few locals still awake gave life to the village that night. For Nubians, colours are an integral part of their identity. The more colours, the better, and this fact is visible throughout the village. Every home is a different vibrant colour from the next, decorated from the front with carvings and drawings depicting scenes from the Nubians’ daily lives. One of the most enjoyable things to do is to take a stroll from one end of the island to the other, which is what I decided to do while the waiters prepared my breakfast. The early-morning walk gave me a chance to observe the locals in their normal daily lives, before all the touristy booths open. I passed children walking to school, a man giving his buffalos a bath in the Nile (which they seemed to enjoy very much) and a group of women having their morning chat, of which I did not understand one word. One of the magnificent things about Nubian culture is their language, especially for us Egyptians. 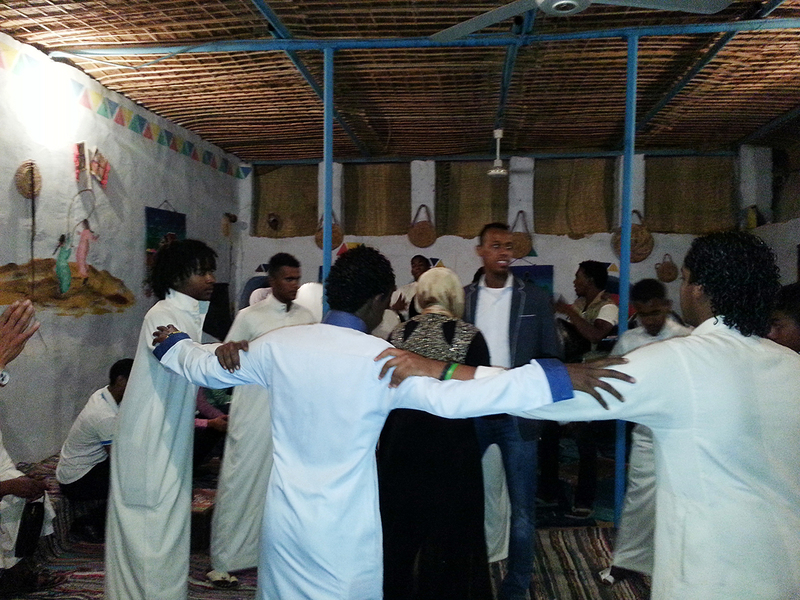 The moment you step into Gharb Soheil, it is as if you are in a different country: all you hear is Nubian, no Arabic. Even the hand gestures are different. Most if not all locals speak some level of English, so communication is not a problem, yet it is fascinating to listen to a language only a couple of thousand people on Earth can speak. Back at my terrace, I found my mighty breakfast. The hotel offers a traditional Egyptian breakfast and in huge quantities; each person got a plate of ful (cooked fava beans), two different kinds of eggs, two kinds of cheese, yogurt and pita bread. Lunch is on the same level of quantity and authenticity, but a word to visitors: due to the laid-back Nubian culture, things tend to happen very slowly; so, for example, it’s best to order lunch while you are having breakfast, to ensure it will be ready by the time you want to eat again. That same tip applies for everything. Don’t request a taxi or a boat at the time you need it, for example; always give yourself several hours in advance. Knowing this fact, I reserved a boat the night before to take me to a nearby island for a mud bath and a dip in the Nile. Everything about this experience is a joy: if you ever make it to the south of Egypt, do not miss this unique experience. I rode the boat on a five-minute journey passing by numerous small islands covered with trees and black rocks, mostly found only in this area. All around us was greenery, blue water and sandy desert with faint trails of camels in the background. We docked at a nearby island, which turned out to be more of a peninsula, however completely abandoned even though there were two houses that I was told belonged to the area’s elders. The boat then left me and Fatma—the local woman who would give me the mud treatment—and parked nearby until we were done. Fatma started mixing some of the dried mud from the edge of the Nile bank with water, watering it into a goo. I then took my clothes off and sat in a bathing suit as she lathered me up, completely covering me in mud. “Now we sit and chat,” she exclaimed with a very wide grin. And we did. I asked her how they survive the hot summer months. We were in the middle of winter and it was already too sunny. She told me that the women group themselves and go swimming in the Nile, something you do not expect women from the conservative Upper Egypt to do. While strong in personality and participating in the household income generation, women tend to be less visible in the daily interactions in this community. As we continued to chat about the local culture and traditions, the mud started to harden and lighten. The lady then started scrubbing the dry mud off me with her bare hands, leaving my skin very soft and probably with one less layer. 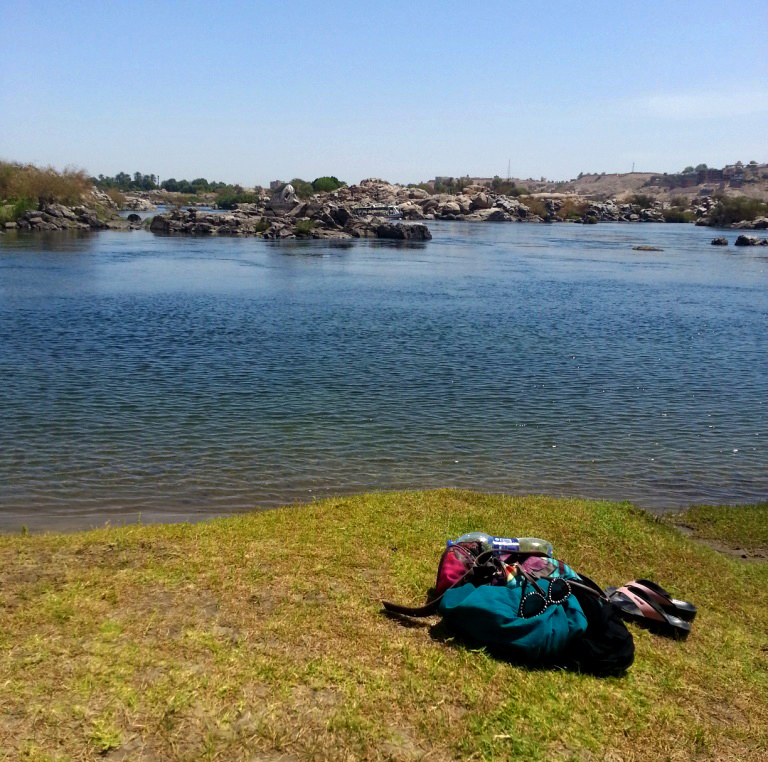 Then came the best part of the whole trip: dipping into the Nile. I wasn’t sure how to do it, or how it would feel, so I began by standing with my two feet in the crystal-clear water and it felt beyond amazing. I completely dunked myself into the cool Nile to wash off all the remaining mud; that feeling of immersion into the nearly transparent water was the best experience I had in a very long time. Once I got dressed, the woman phoned the boatman to pick us up. When we got back to the hotel, it was already midday and the place was buzzing, surrounded by tourists’ boats waiting and camels going back and forth through the streets. To seize the day, I changed into dry, comfortable clothes and explored the small market near the hotel. The market stretches along one street parallel to the Nile, where shops are more like medium-sized booths selling merchandise tailored to the interests of visiting tourists. With the exception of small scattered supermarkets hidden within the streets of Gharb Soheil, most villagers tend to get their needs from mainland Aswan. 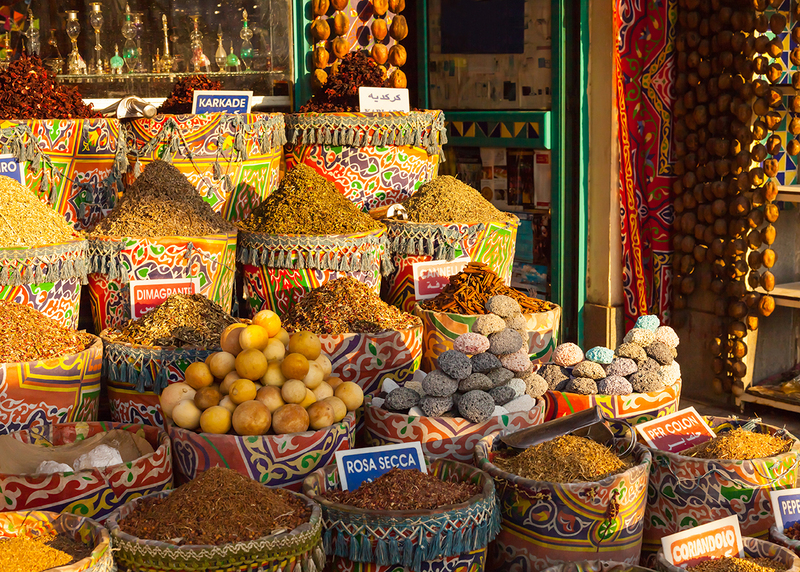 The best things to buy from this market are herbs and spices, as their merchandise tends to be better than in other areas and many of them are locally grown in the mountains behind the village. A must-try is the mint green tea, amazingly strong. Another good buy from the market are the small, colourful Nubian statues, depicting perfectly the local culture. 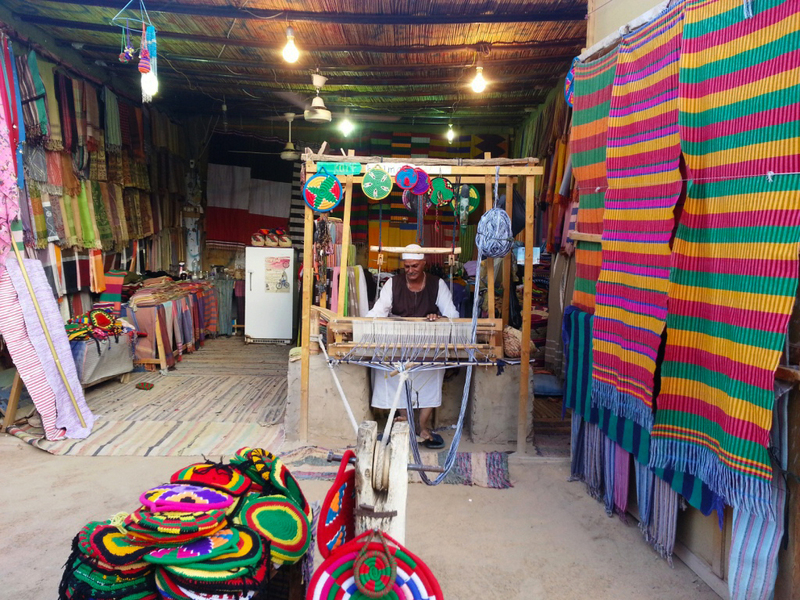 The market also offers a wide variety of souvenirs, such as necklaces, bags, Nubian fans, wooden figurines and more. However, to get your hands on all these goodies at a good price requires masterful haggling. 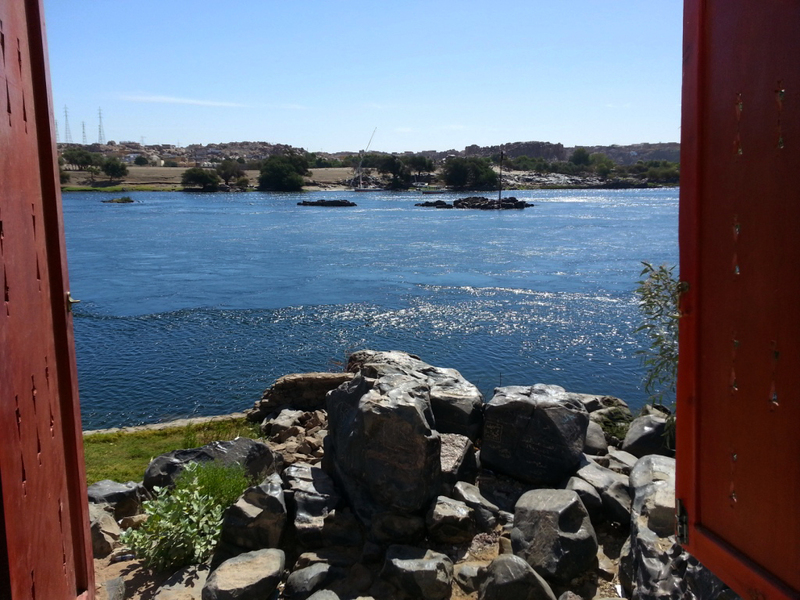 I had originally planned to stroll through Aswan’s main market and enjoy dinner at the famous Old Cataract Hotel; however, the sound of drums broke the silence of the village. Curiosity and a couple of spare minutes pushed me to explore the source, which is how I wound up about three blocks away, watching everyone going in and out of a specific house. 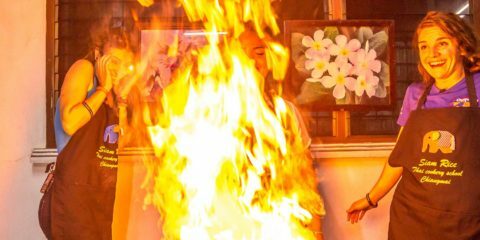 Surrounded by a sea of local men and feeling completely lost, I recognized one of the shop owners I met earlier, and asked him what was happening inside. As we walked in, the front part of house was divided into two small rooms filled with people. The first room had the bride and groom surrounded by a circle of men dressed in white, linking their arms and singing as they danced in celebration. The shop owner then authoritatively instructed me to go into the second room, which then I noticed was for the women. The second room was connected to the first room by a large window where we—the women—stood and watched the celebration taking place in the men’s room. As the relaxing yet exciting day came to a close, so did my very short escape to a completely different era. My driver was scheduled to pick me up 5 a.m. for my 6:30 flight, so I decided to stay up all night enjoying the quiet night with another dose of Gabbana, when the groundskeeper joined me again with tales of what was once a great and mighty culture. 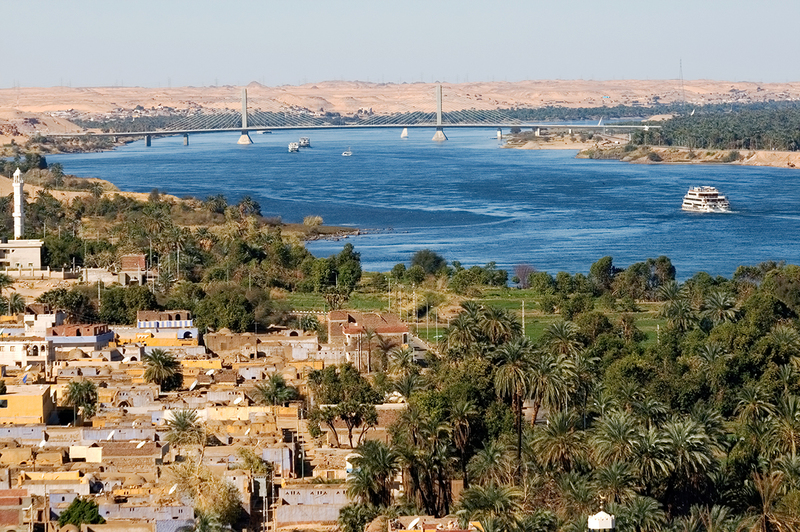 “The word ‘Nile’ is a Nubian noun,” he explained. “It means ‘for drinking.’ We still use it and its verb, ‘to drink,’ in our daily life. We are the origin of it all.” His voice echoed as I stared into the pitch-black water, faintly visible through the lights of the other bank.